Rebecca Lange - Norwex Independent Sales Consultant: Norwex Laundry Products - New and Improved! Norwex Laundry Products - New and Improved! *Save money by buying the Let's Do Laundry Package, which contains this item! Just go to Norwex Collections under the shop tab and choose the Package. This highly concentrated, superior stain-fighting powder contains biodegradable surfactants and is free from phosphates and fillers. Designed for both high-efficiency (HE) and conventional washing machines, this formula whitens whites, brightens brights and dissolves grease and grime. 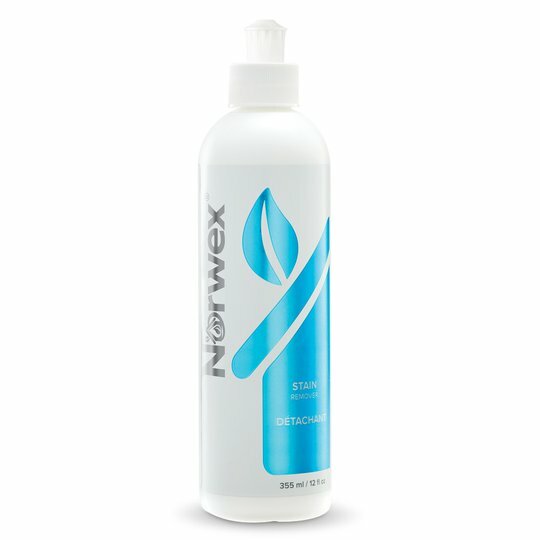 Safe on all fabrics, including hand-washables and Norwex Microfiber. Works in all water temperatures. Washes up to 100 loads in a high-efficiency machine, 66 in a conventional machine. Our environmentally friendly Norwex Laundry Detergent is the right formula for your family. It gets your clothes their cleanest, and because you only need to use a little, you save money. Plus, it works great in both conventional and high-efficiency washing machines. Stain Remover works without chlorine bleach or other harsh chemicals to penetrate, dissolve and eliminate a variety of stains on contact. It’s gentle on delicate fabrics and works in all water temperatures. The formula contains biodegradable ingredients and is free of dyes, petroleum solvents, phosphates and other harsh chemicals. Size: 355 ml / 12 fl. oz. 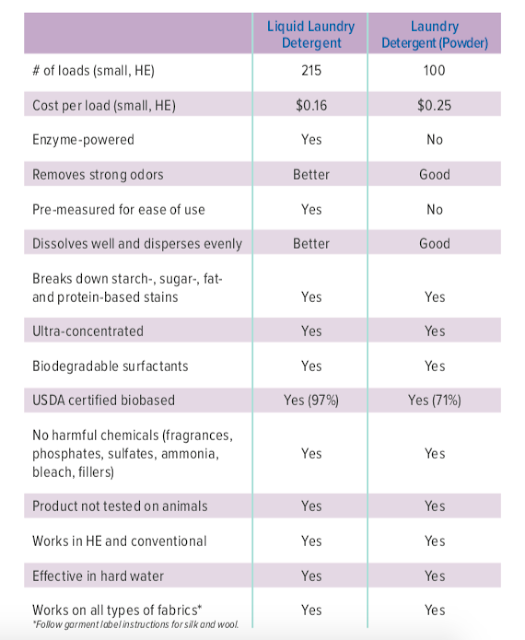 Norwex says, “Oh yes they will!” With our improved, eco-friendly, gel-based Stain Remover, all those stains don’t stand a chance! Penetrates and dissolves tough stains like coffee, tea, juice, grass, makeup, lipstick, mascara, wine and eggs and colored fruit stains like cherries, strawberries, mustard and tomatoes. Fill sink or one-gallon bucket with hot (not boiling) water and dissolve a full scoop (30 ml) of Microfiber Cleaner Laundry Booster. Add up to 10 heavily soiled microfiber cloths and soak for 30 minutes. Rinse well and tumble or air dry. 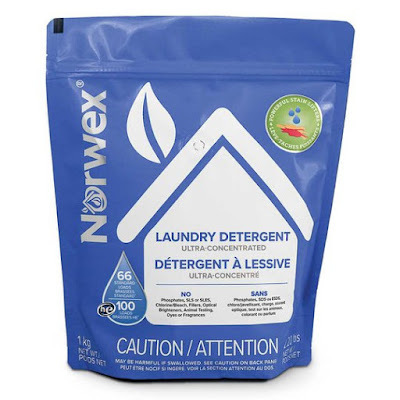 Or, after soaking, place in washing machine and launder on normal cycle using a Norwex laundry detergent. Do not use bleach, fabric softeners or dryer sheets. Launder dark colors separately. Dry as usual. Can be used with powder or liquid laundry detergents. 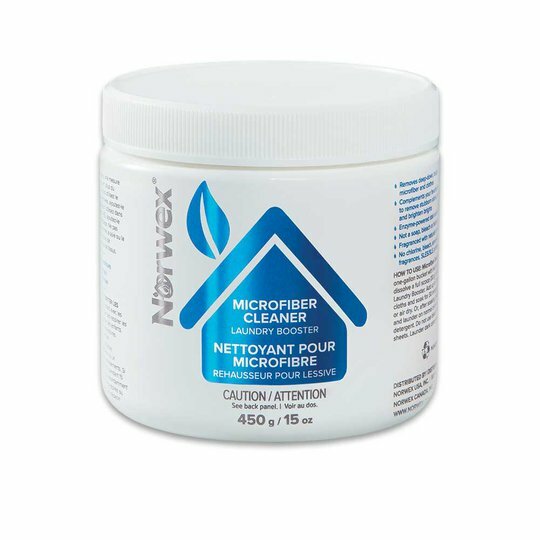 Add one full scoop (30 ml) of Microfiber Cleaner Laundry Booster to wash cycle, along with Norwex Laundry Detergent. If using with Liquid Laundry Detergent, include Microfiber Cleaner Laundry Booster in the pre-soak cycle. Wash according to label instructions and tumble or air dry. When using with Liquid Laundry Detergent in a high-efficiency (HE) machine, put Microfiber Cleaner Laundry Booster in the presoak dispenser. 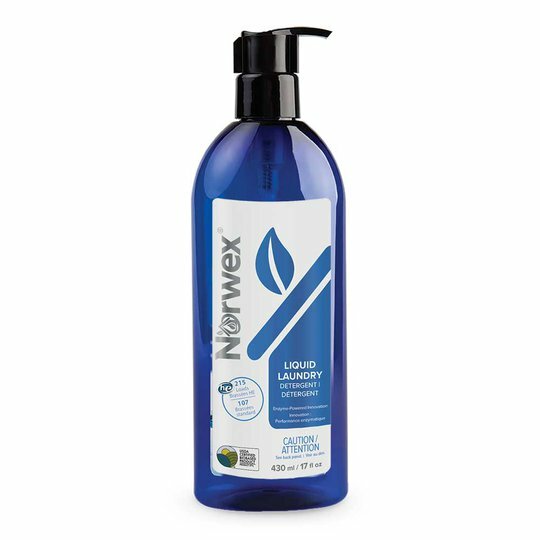 Norwex Fresh Produce Wash - New and Improved! Dishwashing Products - New and Improved!